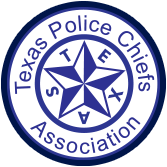 TPCA is a statewide law enforcement administrator's organization for Texas and, as such, it is concerned on a statewide basis with all issues involving the criminal justice system. We believe that local chiefs of police possess a thorough knowledge of the law enforcement needs within the state. Through an organization such as TPCA, issues affecting the criminal justice system can be addressed both with local elected officials and the state legislature. Over five decades after its founding, TPCA actively seeks to promote the professional practice of law enforcement administration, to represent the membership and the profession on issues of concern, and to encourage high ethical standards of conduct among law enforcement administrators through its code of ethics.